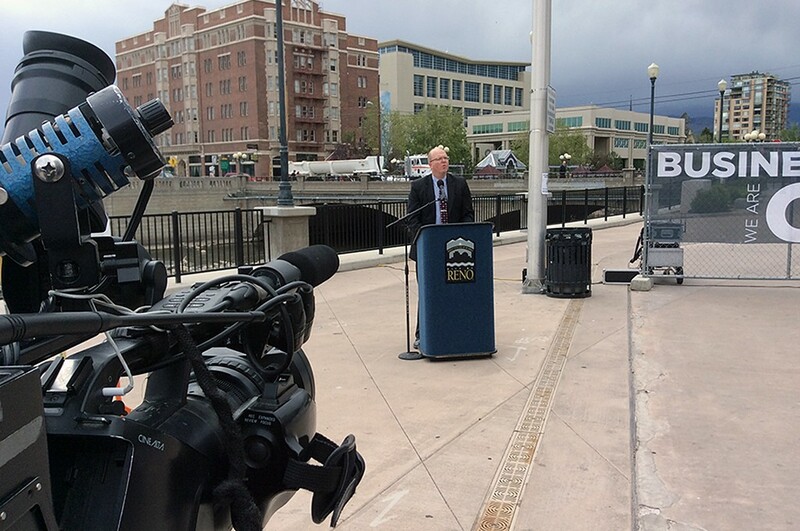 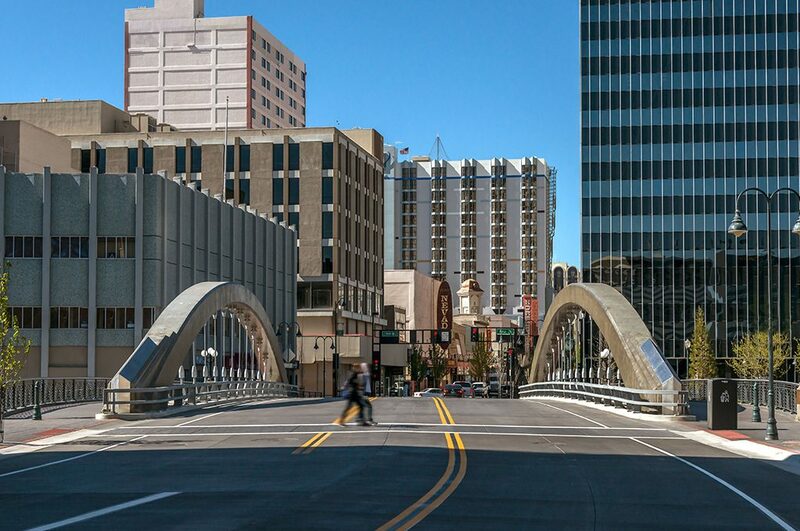 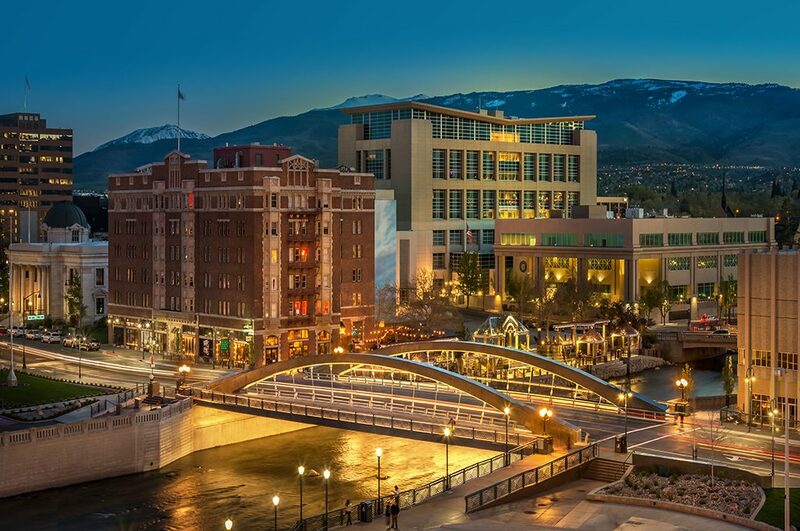 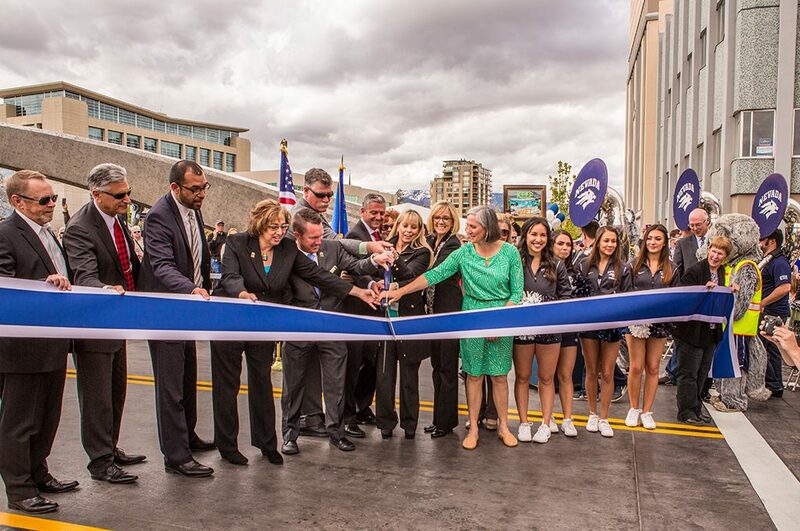 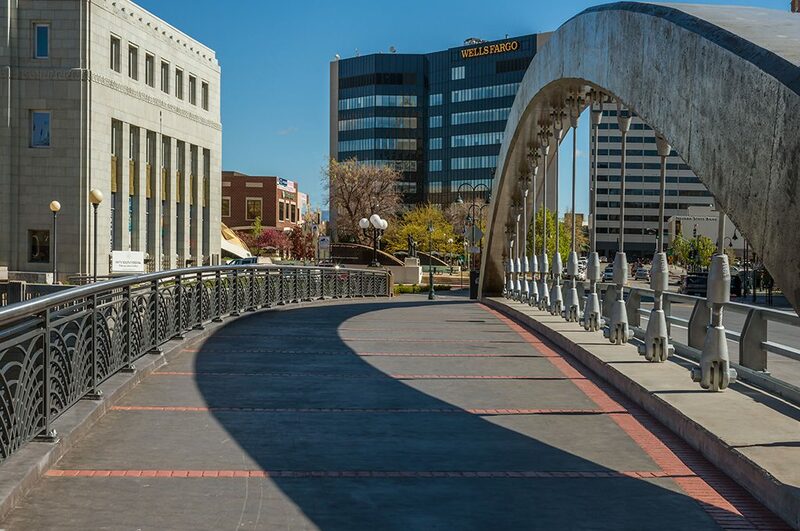 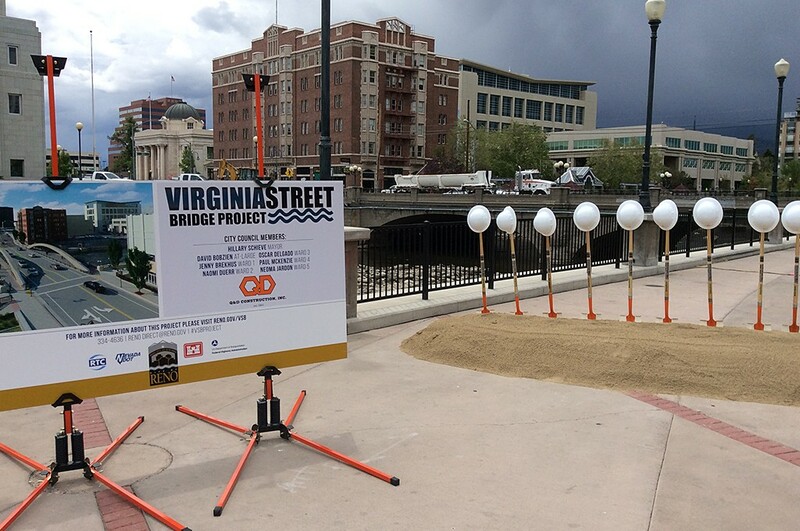 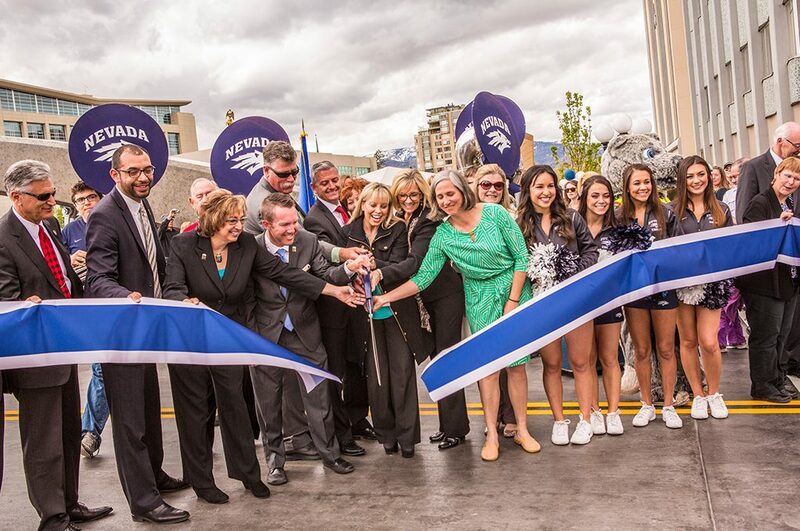 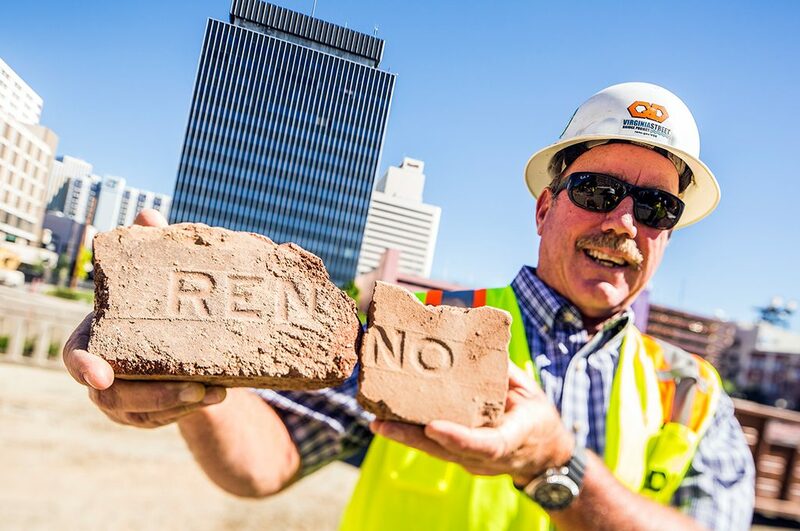 The iconic Reno landmark, the Virginia Street Bridge (VSB), has undergone a complete transformation. 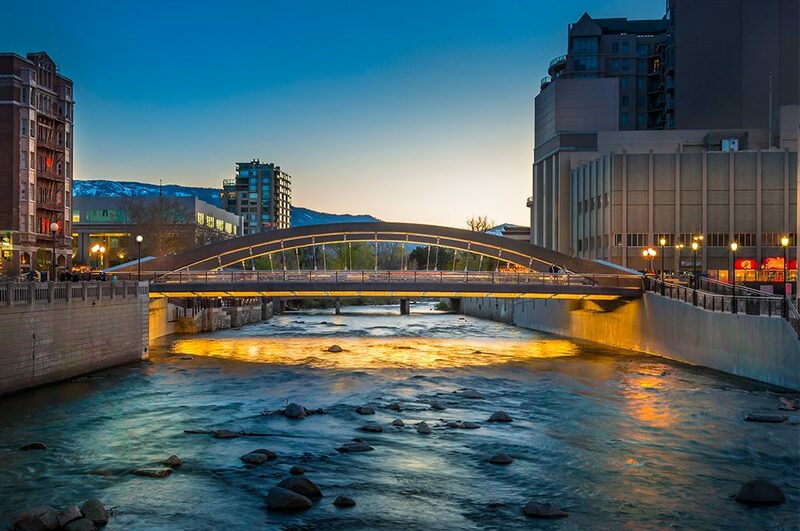 There, for over 100 years the VSB quietly stayed the same, carrying residents and visitors into the heart of the Biggest Little City while Reno grew and changed around it. 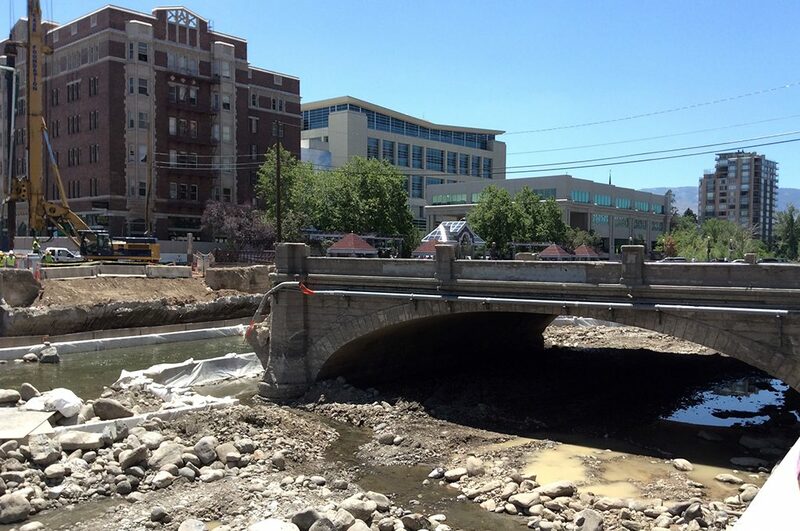 Well past its service life, the bridge’s historical status gave way to safety and flood-control concerns. 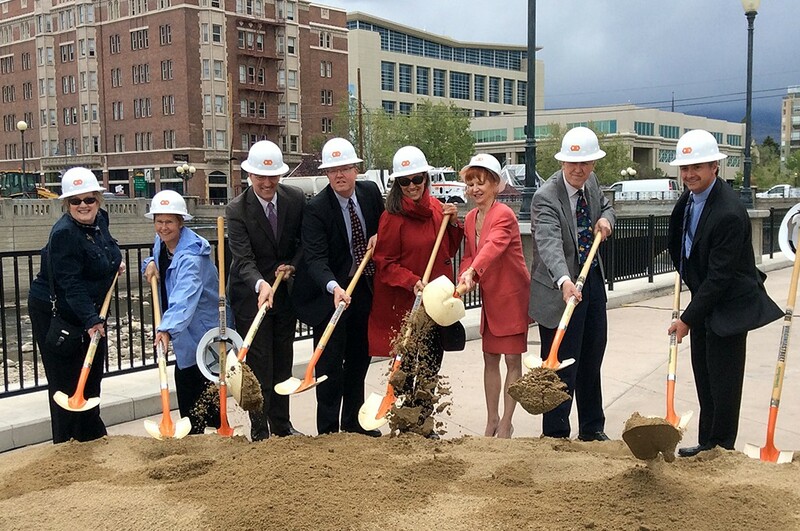 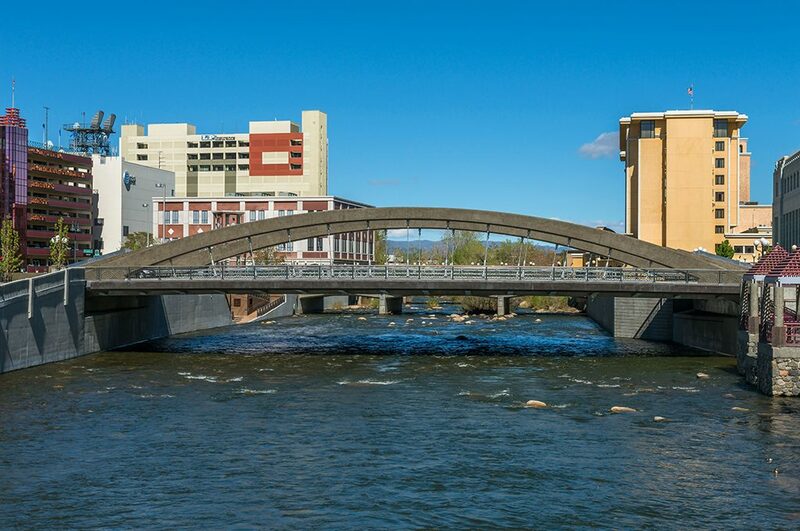 A new bridge was set to replace the older structure to ensure public safety, improve travel for pedestrians across the bridge and also make improvements to the Truckee River’s flood capacity. 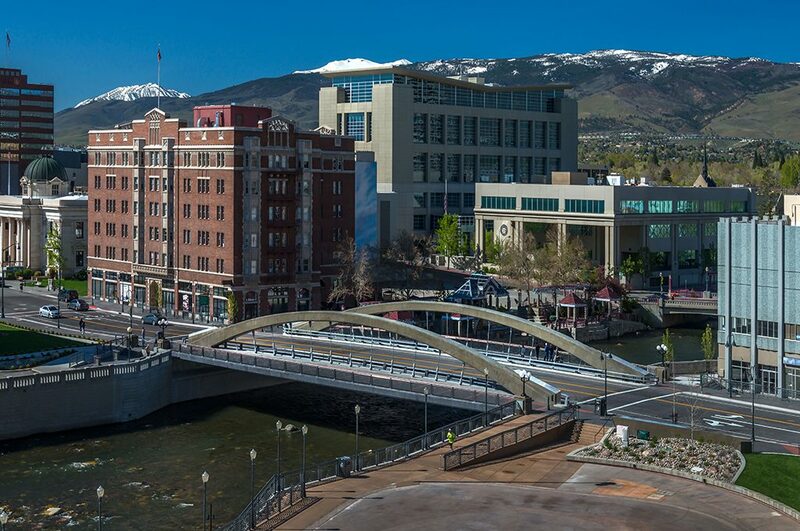 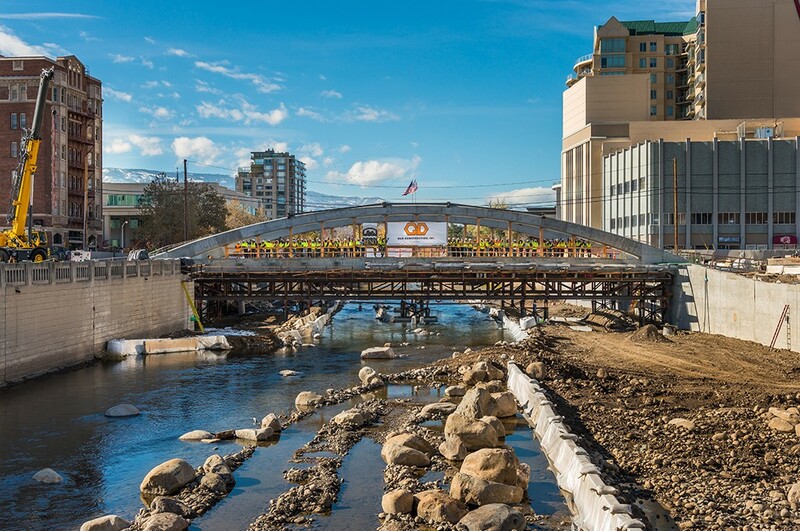 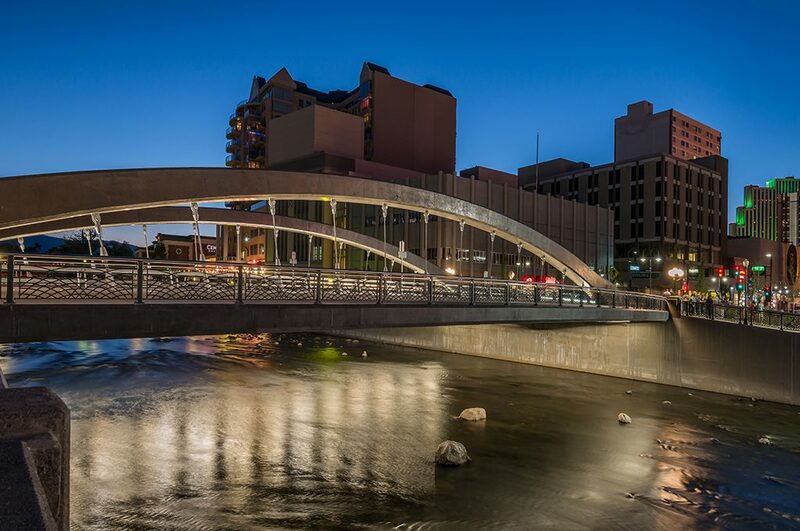 The Virginia Street Bridge project included demolition of the former bridge, an earth-filled, reinforced concrete, dual-arch structure spanning the Truckee River, and the construction of a new, reinforced concrete, rigid frame, bowstring truss bridge. 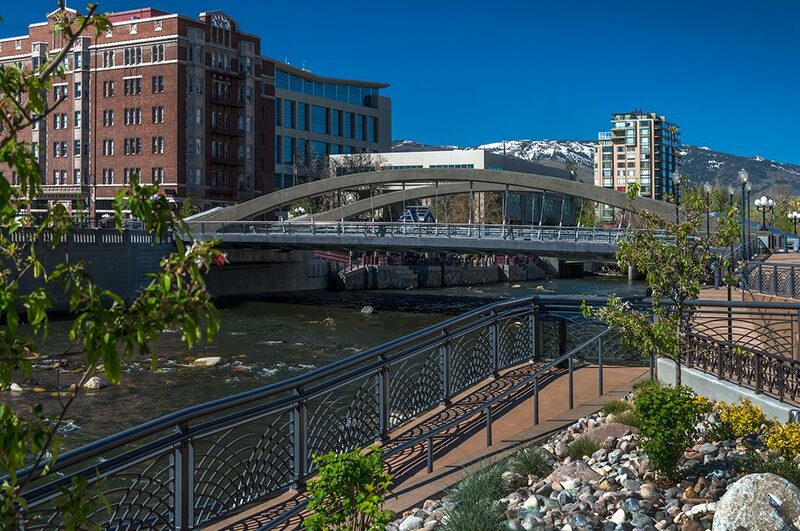 The project also added a river access plaza adjacent to the main City Plaza to increase recreational use of the Truckee River. 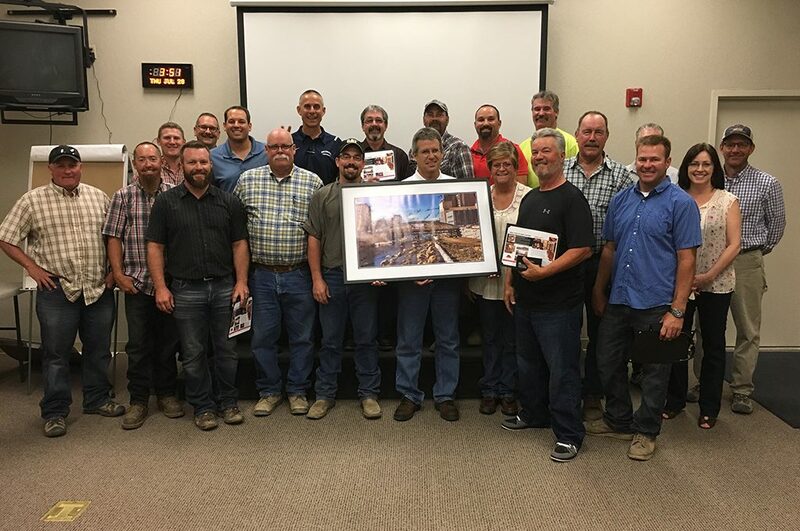 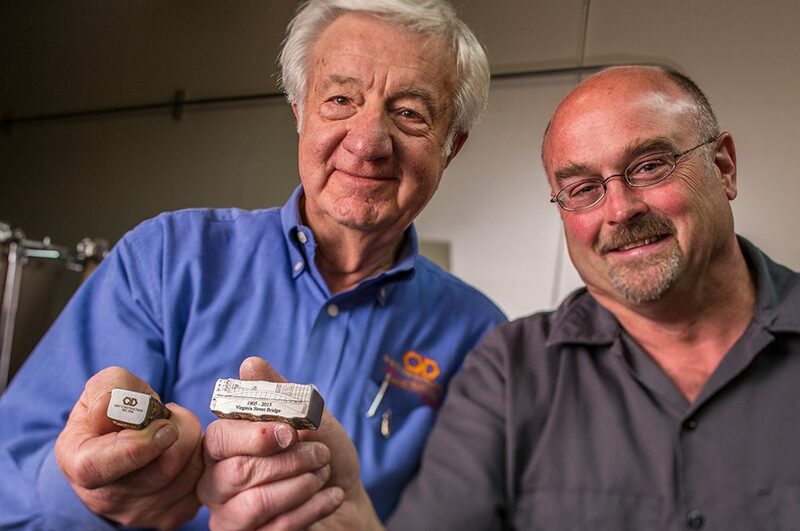 The Q&D team offered significant schedule savings with their bid, planning to use an alternative means-and-methods approach on this design-bid-build delivery project. 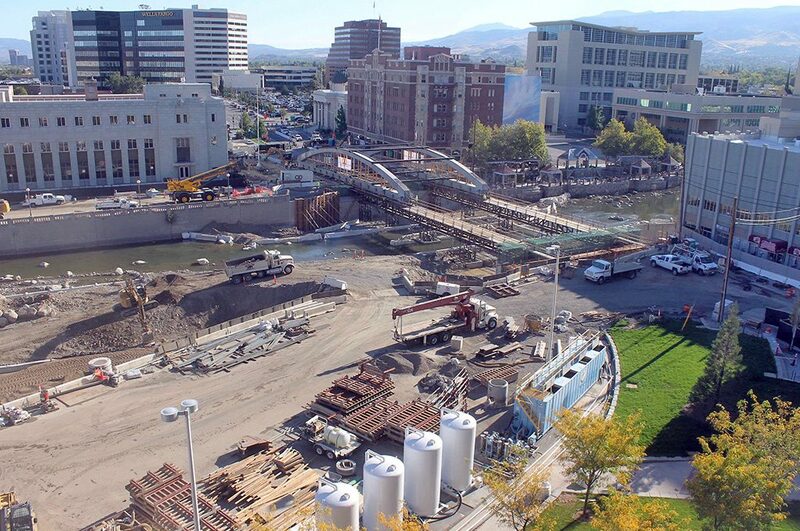 After being selected as the general contractor, the plan for the slide was approved and Q&D worked alongside the structural designer Jacobs Engineering and the bridge-slide consultant to confirm with structural calculations that the slide method would not induce detrimental stress on the structure. 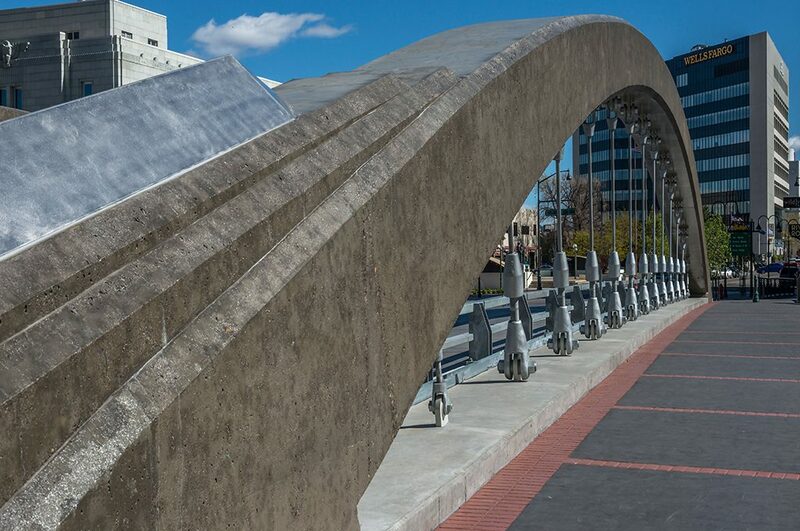 As a result of the slide method, the arches and foundations were built simultaneously, significantly reducing the critical path. 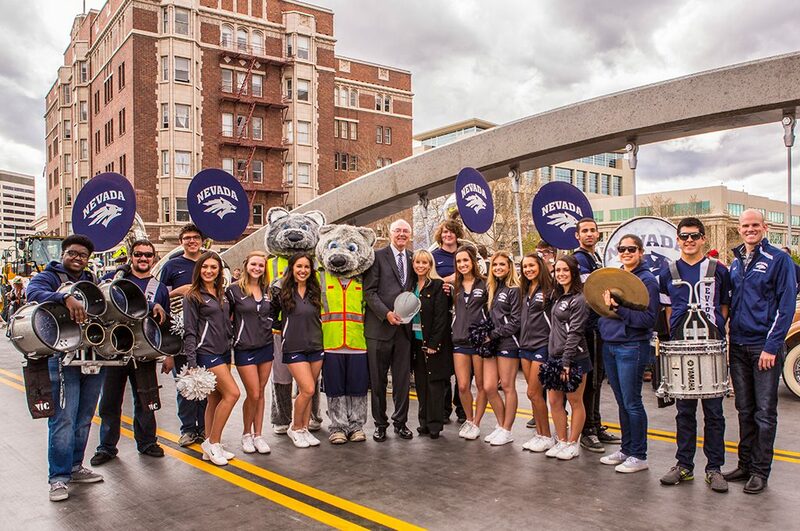 Crews slid the arches into place at the end of the first season, removed the falsework, and continued with construction of the deck and structures, completing it ahead of schedule in spring of 2016 instead of fall 2016. 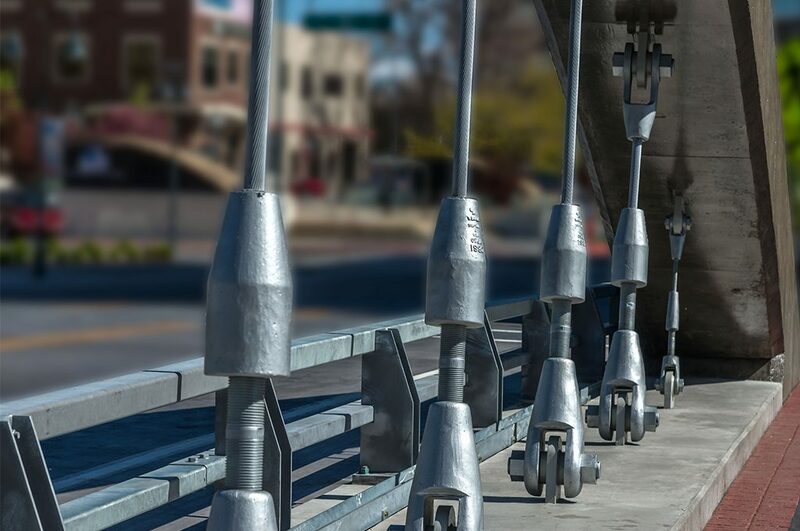 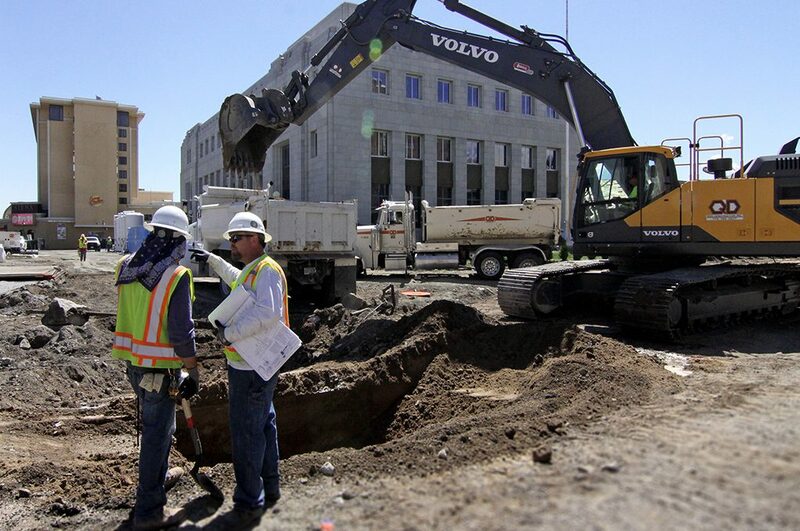 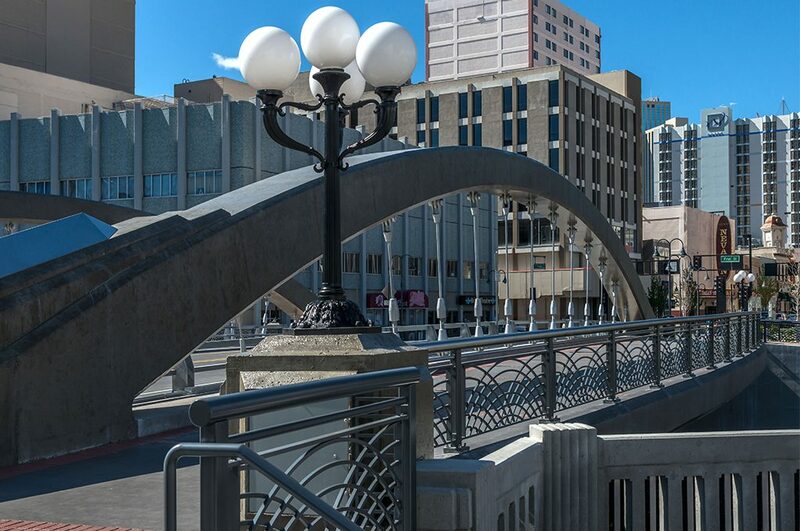 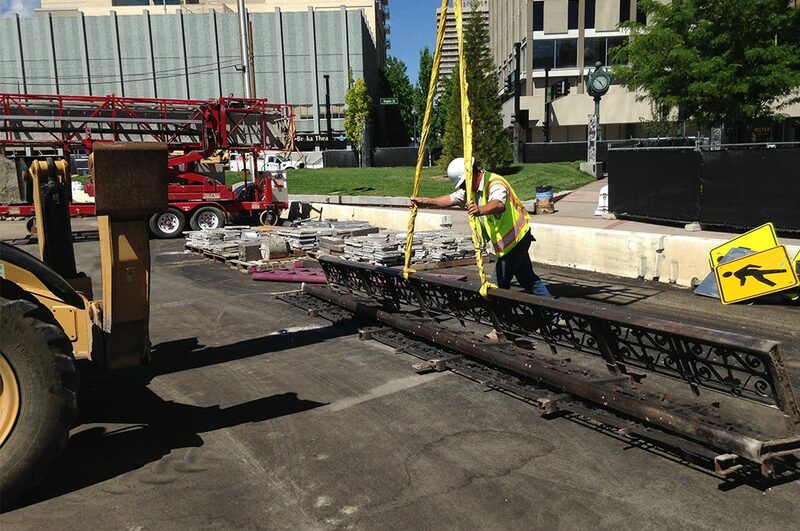 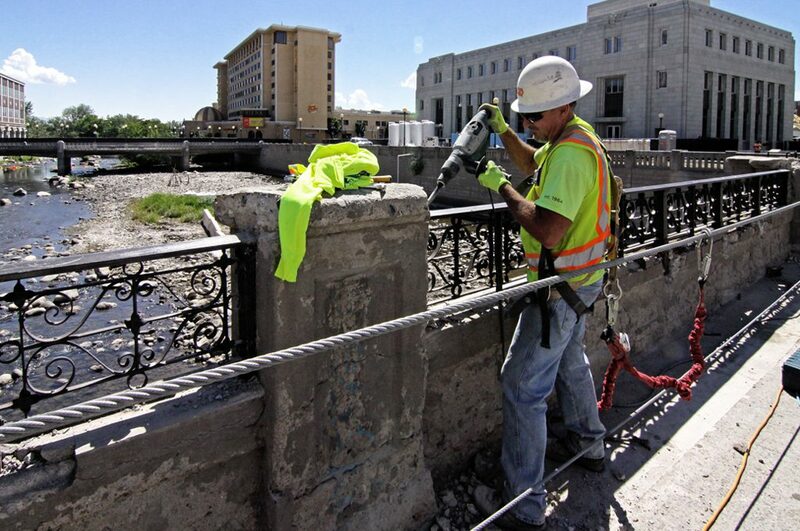 This put the bridge back in service sooner and helped mitigate impacts of the closure and staging on adjacent business owners and residents in this central location in downtown Reno. 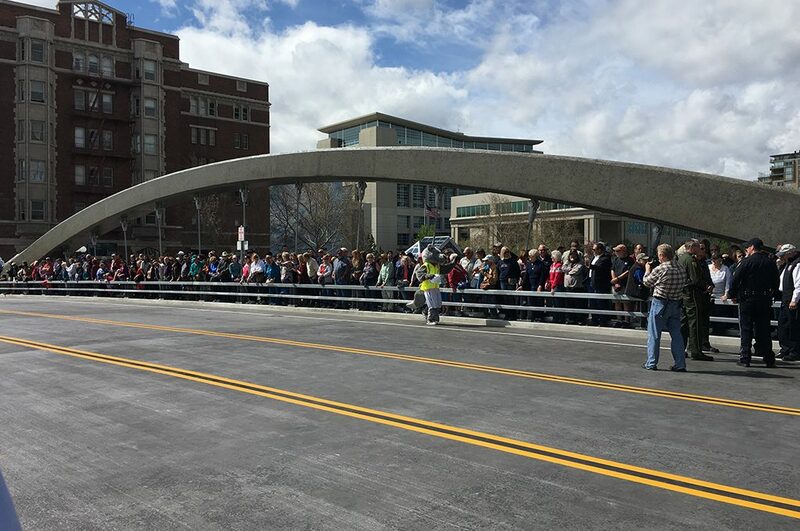 The new bridge is 166 feet in length and varies in width from about 84 feet to 98 feet. 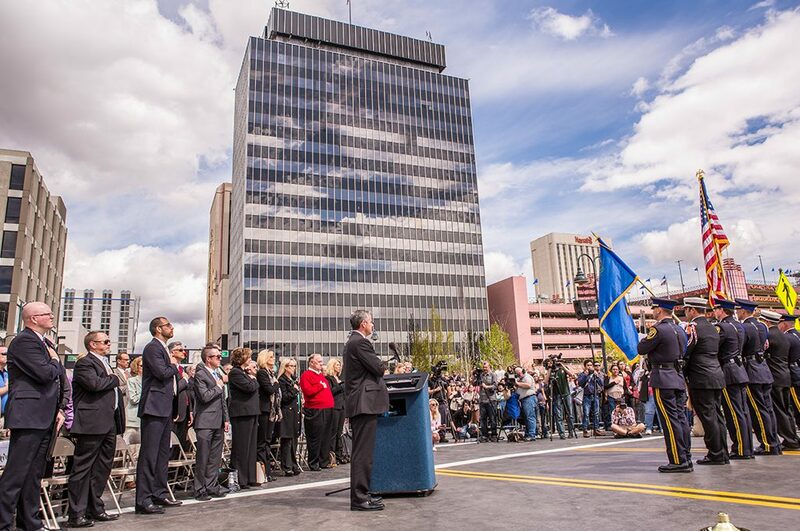 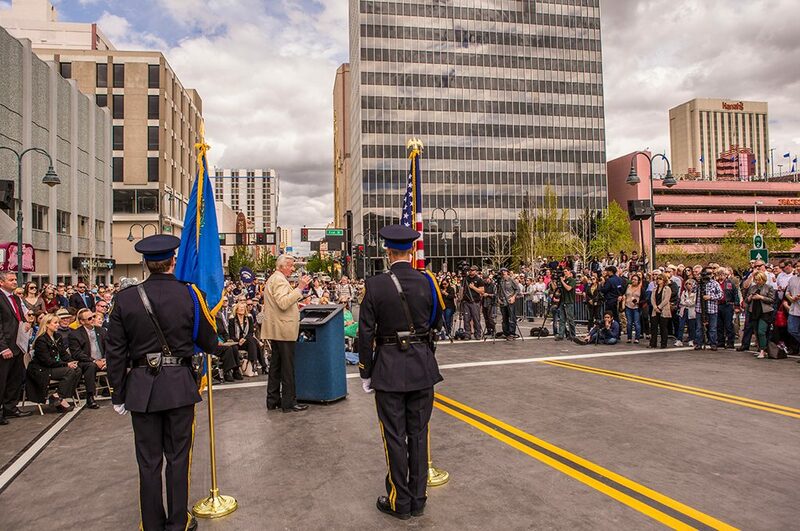 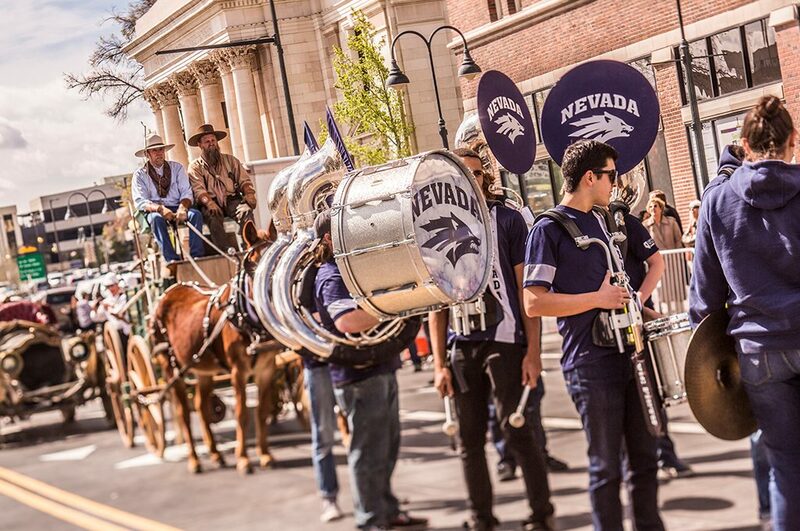 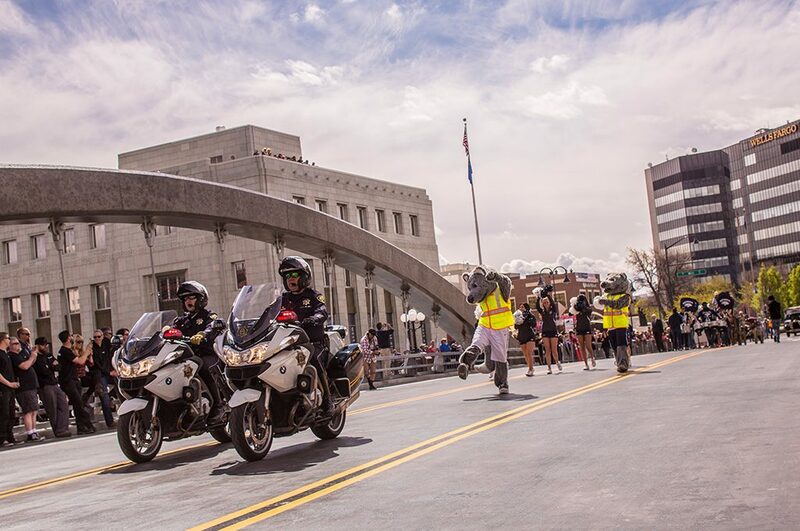 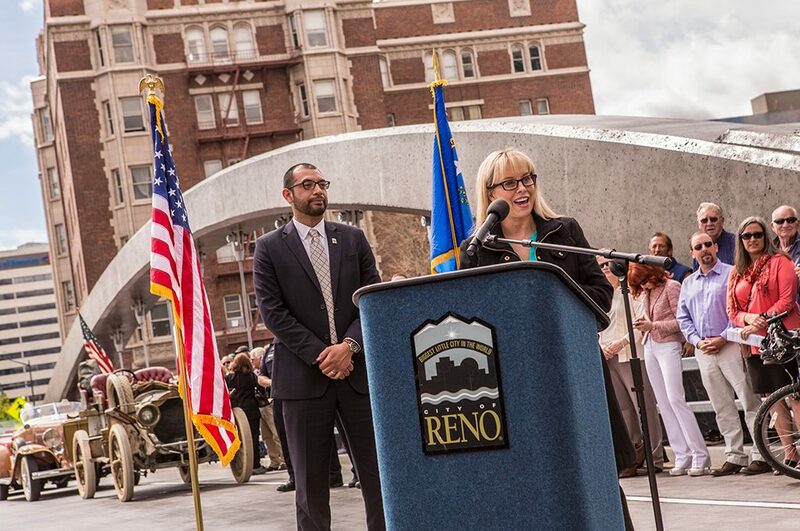 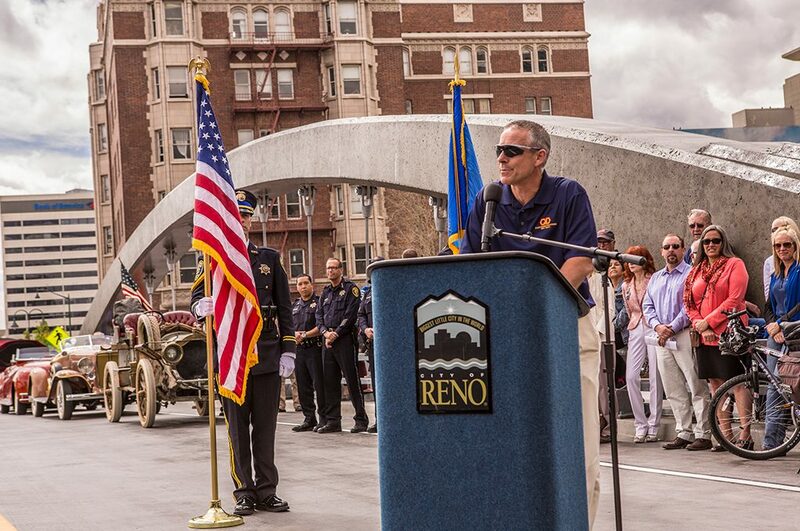 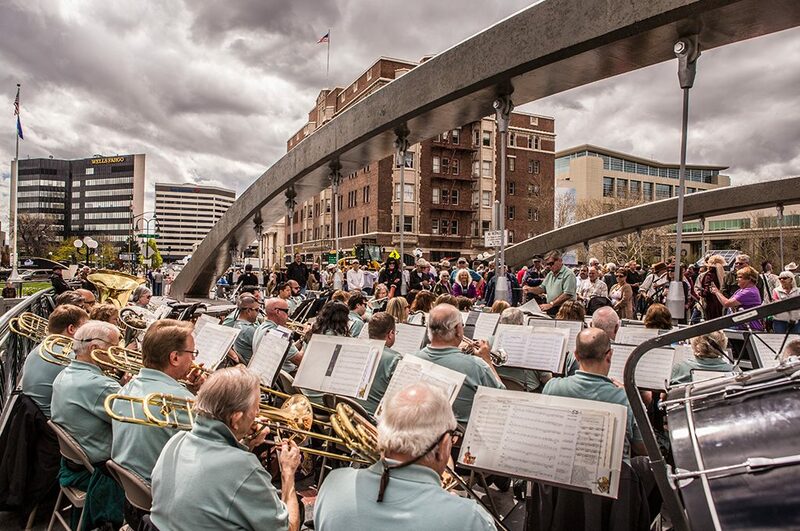 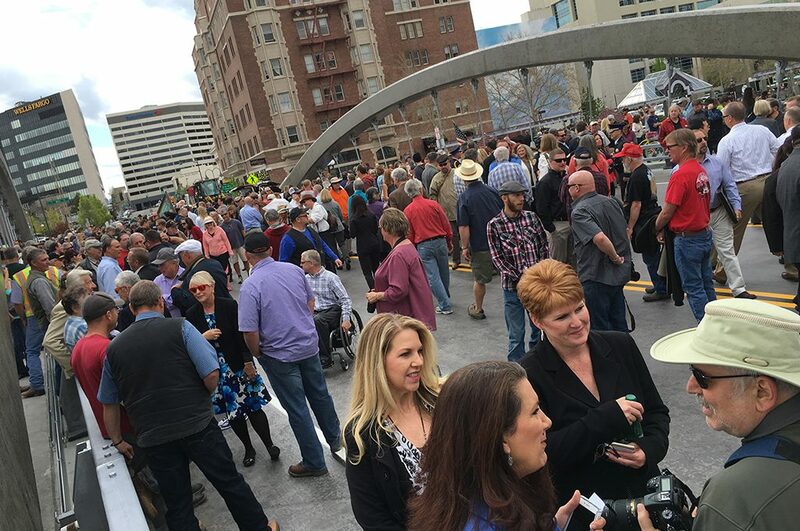 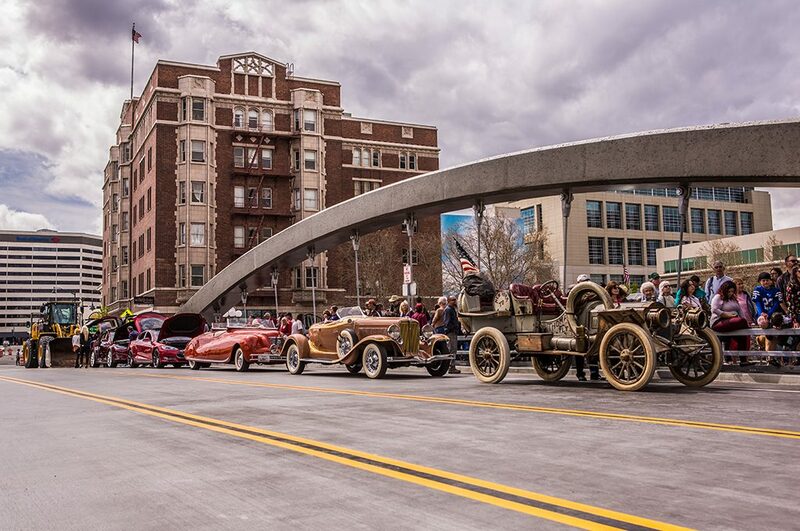 To celebrate completion of the VSB, the City of Reno hosted a grand public parade that included vintage vehicles representing the eras of the old bridge’s service.